Today was our last trip of the season and we all desperately wanted to see one last whale, even if it just was Nile. 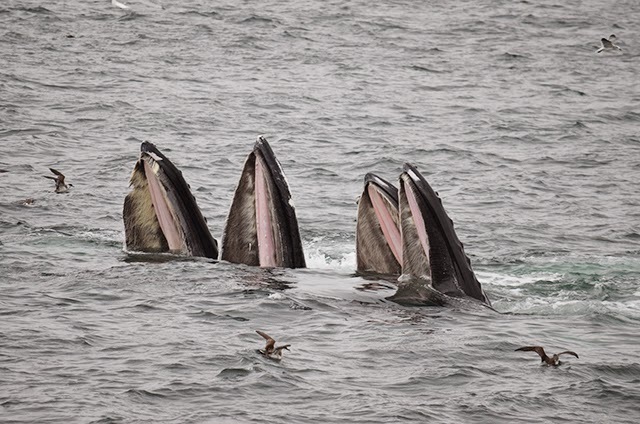 However once on the southwest corner, aided by outstanding visibility and Captain Tim’s keen eyes, we were confronted by the baleen battalion. The sandlance of Stellwagen can’t wait for the whales to leave. 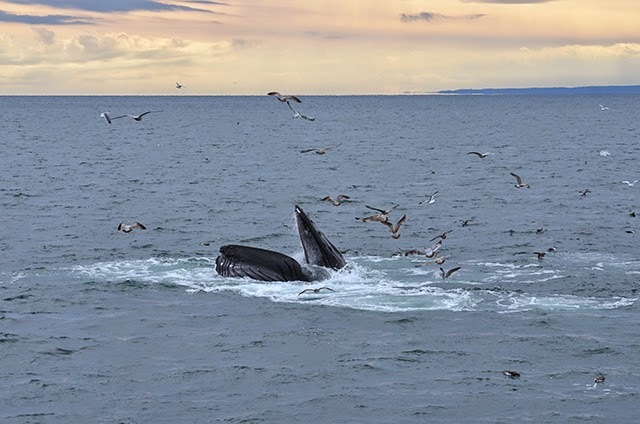 25-30 individuals were feeding vigorously, churning the ocean surface as they captured millions and millions of the small fish. 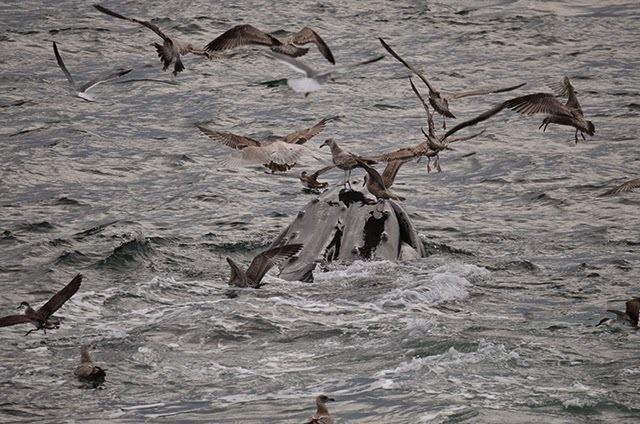 Those lucky enough to escape the baleen were fallen upon by copious numbers of gulls, shearwaters, and gannets. 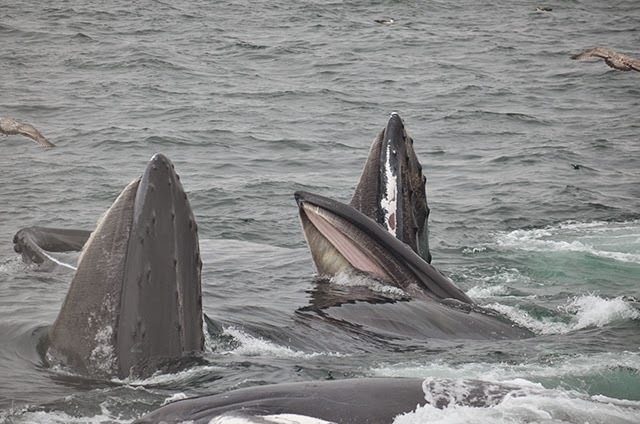 We identified 15 of the whales on the corner including Abrasion, Ampersand, Canopy and calf, Dome, Fez, Glo, Hornet, Peninsula, Perseid, Rocker, Snare, Timberline, Wizard and calf. 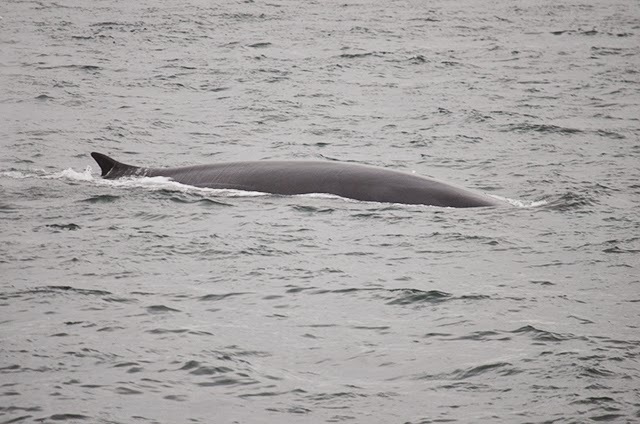 We also spotted a fin whale which quietly swept through the area, seemingly ignoring the more boisterous humpbacks and birds but potentially attracted by the intense feeding activity. This was a fantastic way to end the season and can’t wait to get back next spring.